BUFFALO, N.Y. – Halfway up the back of the Michigan mitten, the city of waterways and lumber named Muskegon had charmed a group of vaudevillians into purchasing property along its lakeside, thus forming The Actor's Colony. Buster Keaton's father, Joe Keaton, built his family a summer cottage in 1908 -- in what is now the city's Bluffton Neighborhood -- for the months when performing in theaters was too hot to endure. Young Buster's datebooks marking the family's performance schedule fondly demonstrate his excitement in returning to Muskegon, and are now displayed at the historic Union Depot. The Buster Keaton International Society will celebrate its 20th year this October in Muskegon, known worldwide as Buster Keaton's home. The society will again gather in Muskegon Oct. 2-4 to celebrate the silent-film star. The membership is interested in Buster's early life, in which this city played a most important part. The friendly atmosphere, boating on the lakes, the baseball field where Buster played; all made homecoming a joy as only a young boy could wish for, after seasons of living out of trunks that were passed from train to train. Time in Muskegon, he has said, was the happiest of his life. It should be evident to any modern visitor, as it was to the vaudevillians, that the Muskegonites share what they value: beautiful beaches, the walkable streets that lead to galleries and restaurants, the historic buildings and, of course, the lakes, Muskegon and Michigan. The society exhibits Buster's films at the Frauenthal Theater. Its restoration is a richness of illumination in red and gold, taking the audience back to an era of prosceniums and arches embroidered with painted dreams, made to temporarily suspend the reality of daily life. We would like the people of Muskegon to know that we appreciate their welcoming response to our yearly visit, and that our group looks forward to not only celebrating one of your most famous citizens, but to renewing and extending friendships through the cordiality and professionalism exchanged during the convention. We look forward to the time spent in Muskegon, and wish to thank its citizens for a sincerely warm welcome. Your city is a vital memory for many of us. 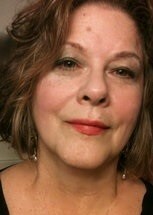 Susan Coburn, of Buffalo, N.Y. is a committee member of The Buster Keaton International Society. As big as the odds were against some of the memorable characters Buster Keaton created for his movies, the odds against the actor/director who fondly remembered his summer sojourns here were greater still. 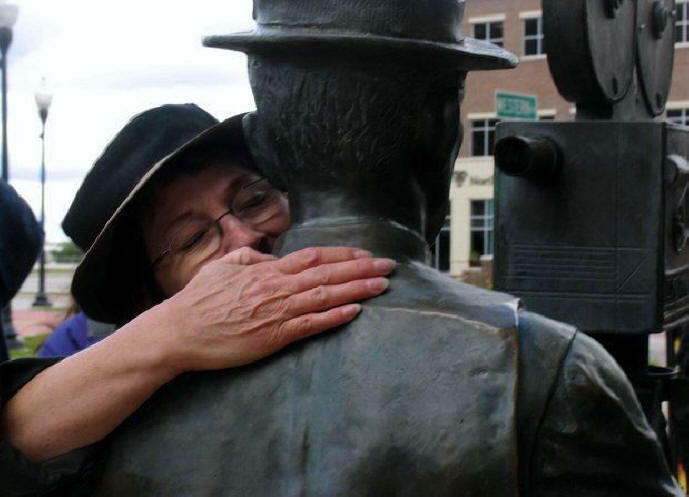 Buster Keaton, the straight-faced comedian of stage and screen, laughed long and heartily here last night when he returned for the first time in more than 15 years to his old hometown – Muskegon – and to the "happiest, most peaceful community" he has known in a world of travels – Bluffton and the Actors' colony. Disappointed when he could not come over from Chicago on the "Alabam" of which he used to sing in vaudeville with "The Old Man and Maw," Mr. and Mrs. Joe Keaton, he chartered an airplane and flew in with his little brother Harry "Jingles" Keaton, his wife and their huge St. Bernard dog. Unheralded they landed at the Muskegon County Airport at about 3:30 p.m. and slipped down to Bluffton to meet their old friends Mr. And Mrs. William "Mush" Rawls, with whom they spent the night. After a dozen of Frank Pascoe's fried perch – "Oh, were they good!" – and a couple of hours of sleep, Buster was ready to roam about the neighborhood visiting a few of his old friends. Until the wee small hours of the morning it was: "Mush, do you remember...?" and he was off on another story of some prank he played upon "The Old Man," Lew Earl, the Pearl Brothers, Lex Nell, "Pop" Millard or some old-time member of the Actors' Colony. Dressed up as a plumber in droopy blue overalls, white shirt, a huge brown bow tie, a brown felt hat – his loose-joined arms and feet draped over the arms of a chair or waving about in characteristic attitudes, he entertained a small group of friends at the home of Mr. and Mrs. Ernest W. Krueger, 1827 Edgewater, for several hours. It was Mush and Ella's idea that he go over to Ma Krueger's dressed like a plumber and ask to fix the pipes (Buster was an inseparable pal of Keith Krueger when they were boys together at Bluffton and looked so much alike they were mistaken for one another by their own parents). But he couldn't put it over on Mrs. Krueger, who knew him instantly and welcomed him with open arms. There was the time the Keaton family was on a split week vaudeville bill with Will Rogers playing three days in Nashville, Tenn., and the next three in Lexington, Ky., with a one-night stand at the last minute in Paris, Ky. But they never played Paris. The Old Man got mad when he received a cartoon drawn by Mush Rawls showing Will Rogers dragging him with Buster trailing to Paris and the following inscription: "I've played a split week but never a night in Paris – Mush." Buster's Dad bucked and refused to play the Paris engagement. Buster has always known how to fall hard without getting hurt. He had to know how with Joe Keaton for a father. For Joe used to throw him through the backdrop every night for a case of Green River. "The question was 'How about a little drink?" he recollected, "The answer was, 'Sure, let's have a Green River,' and with that he'd throw me into a river painted on the back drop. That always got a laugh – AND a case of Green River." He told another story of the time they were playing in New Haven and the Yale boys decided to get rough. The minute the Keatons started their act, the college boys filling the first three rows began to rumble and growl. "There was a big fellow sitting in the middle of the front row who was leading the game," said Buster. "The Old Man stopped the act and said, 'Now you be quiet.' He went on and the boys started up again. Joe stopped again and said: 'If you don't be quiet, I'm coming right over.'" "Now the orchestra pit was three musicians wide and the first row a considerable drop below the stage," he continued. "When Maw came out to play a saxophone solo the big boy did the wrong thing. The Old Man just picked me up and threw me across the footlights, orchestra pit and all, into those boys on the front row. "My hip broke the big fellow's jaw, a foot broke the next fellow's nose and a shoulder and cracked three ribs for the guy on the other side,' he said. "The Old Man never thought of what might have happened to me. He accidentally gave me a rap on the back of the head with a kneecap one night and I fell straight back striking on my head. I was out for 18 hours with a fractured skull – but worked the act the second night after the fall. "Oh, I've been hissed off the stage and run out of town in my day," said the movie star. "There was the night we accidentally dropped Jingles on his head – he was only 2 then – and the audience got mad. It was too brutal. They climbed over the footlights and we had to run." "Speaking of brutal falls," he said, "reminds me of one I did in 'The Roundup' a few years ago out in California. I drove up to location about 200 miles north of Los Angeles to find Rudy Valentino's wife. She was there, playing in the picture. They were making a scene with an Indian who was supposed to be shot and drop dead. The director wasn't satisfied. I said, 'I'll do that fall.' So he took me on." He recalled duck hunting up on Dave Parson's marsh, motorboat racing on Muskegon and Spring Lakes, Billy Clark's "Baby Doll" and Lew Earl's "Dixie Pirate" and "The Battleship," all powerboats which will be remembered by older residents of Bluffton and Muskegon. He recalled the day he broke up the Bluffton school just to get the McGowan boy out to play second base in a ball game at North Muskegon, how he rigged up two coils in the old Keaton family boat so he could shift from the good one to the bad "to make The Old Man think she wasn't working so we could take a ride without him knowing it," how he emptied a can of kerosene down the sidewalk in front of an old woman's house next to the schoolhouse who used to throw the boys' baseballs into the stove whenever they landed on her lot, and a host of other pranks. Every few minutes he would call himself aside to remember another song or story about the happy days of a quarter century ago. Today he visited Jingles' Jungle, the Keaton's last home here, a little green cottage perched on a sand hill on Edgewater St. near the old Theatrical Colony Yacht Club overlooking Muskegon Lake. He also called on a host of other friends and looked up familiar landmarks with his wife, brother and the Rawls. He played St. Louis Thursday night, met his wife, who drove from New York to Chicago in their car and chartered a plane to hop over to his old house in Muskegon yesterday afternoon. They had planned to take off at noon today in their Bellanca cabin monoplane piloted by Joseph Bailey of Chicago, but indications were they might stay until tomorrow – held by the memories of old times. Buster and his wife have been away from Hollywood for about five months but are now on their way back by the end of next week when he is to start making a new picture. They spent several months in Florida and were ready to make part of a picture in Cuba when the revolution broke out. "We were down there about four months ago as guest of the President who insisted on getting the fleet out for review – all four ships," he said with a laugh. While in the east he broadcast with Rudy Vallee over a national radio hookup. He has made about half a dozen radio appearances and plans to make more when he returns to Hollywood. His wife is the former Miss May Scribbens to whom he was married early last year in Mexico. Joseph Keaton, the key man in the old Keaton family act, is alive and as well liked in California as he was in Muskegon 25 years ago. "Will Rogers at his best couldn't compare with the Old Man in those days," said Buster with a son's loyalty. In 2002, the late film critic Roger Ebert wrote of Buster Keaton, "... in an extraordinary period from 1920 to 1929, he worked without interruption on a series of films that make him, arguably, the greatest actor-director in the history of the movies." Not just silent moves. Not just comedies. All movies for all time. Ebert is not alone. 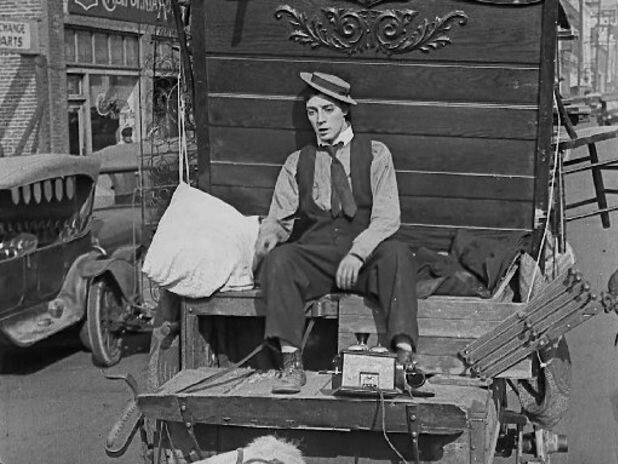 In a short biography of Keaton for the New York Times, Mark Demming wrote, "Although his career lacked the resilience of Charlie Chaplin and Laurel and Hardy, Buster Keaton may well have been the most gifted comedian to emerge from the cinema's silent era." Keaton's film genius would not be recognized until decades after his visit here in 1933. In fact, Keaton's star was already teetering on the brink of a disastrous fall when he stopped here to revisit what had been an idyllic summer home during his years with the family's vaudeville act. Fired by the studio within a year of his visit here (in part because of his drinking), Keaton struggled to make a living on the margins of the film industry for some 25 years, writing gags for other actors and taking bit parts in low-budget films. His story did not end there, however. Keaton stopped drinking and by the 1950s had made a long, slow climb back from obscurity, working in such wildly divergent projects as a short film by playwright Samuel Beckett and surfing films like "How to Stuff a Wild Bikini." Keaton died of cancer in 1966. MUSKEGON, MI -- A group hoping to develop a park and preserve Buster Keaton's ball field reportedly has made a cash offer at the appraised value for the former Bluffton school property, but has competition for the land just steps from Lake Michigan. 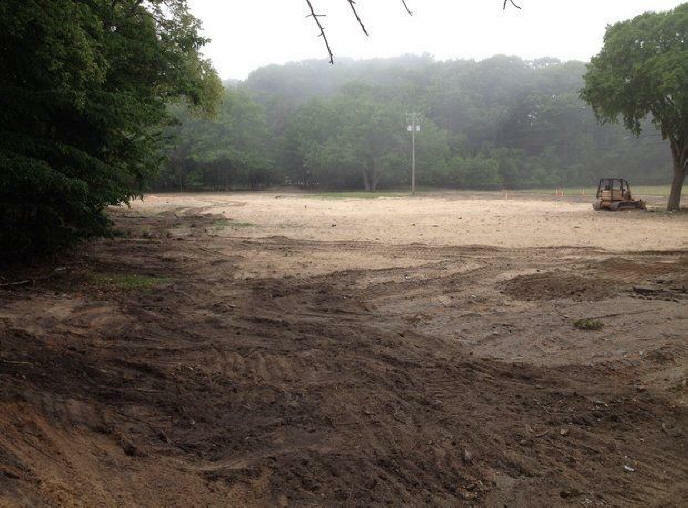 An anonymous donor is prepared to provide $206,000 for the property where Muskegon Public Schools' Bluffton Elementary School previously stood, said Larry Page, spokesman for a group of neighborhood residents calling itself the Bluffton Park Association. The plan would be to develop a park at the property, working with the International Buster Keaton Society to preserve the ball field that the film and vaudeville legend used to play on. Muskegon Public Schools owns the roughly 8-acre property that district Superintendent Jon Felske said has been appraised at $206,000. He said two interested parties have submitted proposals for the property. He declined to say how much the purchase offers are for, or what the proposed uses are for the property that is just steps from the Pere Marquette beach. Page said he has heard that the other offer is for "considerably" more than the appraised value. Felske said he and district attorney Gary Britton are serving as real estate agents for the sale, which he hopes can be completed by the end of 2014. Interested parties are performing further investigation of the property, including for any environmental concerns, Felske said. Likewise, the district is performing "due diligence" of the interested parties, he said. The district closed Bluffton school in 2012, and a state grant helped pay for the demolition of the building, which was completed earlier this year. The property is zoned residential. Page said the Bluffton Park Association is not a registered non-profit organization, and is searching for such a group that could actually own the property. The group's plans are to keep the area as a "privately-owned public park," eventually adding a picnic shelter and a playground, Page said. The Bluffton neighborhood is the only one in the city that does not have a neighborhood park, he said, explaining that he does not consider nearby Pere Marquette Park a neighborhood park. "We want to keep it as an open space for kids to go down and play," Page said. "Yards are small in that area." Muskegon city officials have said a residential neighborhood would be the best use for the property. Such a development would bring property tax revenue to the city and the school district, while a park owned by a non-profit entity would not. Developing the property for residential lots would involve "a lot of costs," Felske said, noting that there currently are no curbs and gutters. Felske said the school board is being kept apprised of interest in the property. He will eventually make a recommendation about to whom the property should be sold, and that the eventual end use of the purchaser will be given some consideration.